Digital marketing is a coined phrase that refers to all of your online marketing. Businesses can use digital marketing strategies such as SEO, Social Media Marketing, Blogging, Content Marketing and email marketing to connect with potential clients. The internet has changed how business is conducted around the world. Old school marketing strategies (now called offline marketing) are not as effective as they once were. Newspapers, radio, television and print marketing is being replaced by blogs, websites, Facebook, YouTube and other digital platforms. All forms of marketing have been used for one purpose, to connect with an audience. Timing is everything in marketing, having the ability to connect with the right people at the right time is essential. Today, the majority of people are online and if your business is not able to adapt, your business is not going to succeed. That’s exactly why learning digital marketing is paramount for your success. Digital marketing is a broad term and there’s dozens of marketing skills, strategies and assets that could be classified as such. This is why digital marketing refers to any type of marketing you do online. From a website and blog to email marketing or online brochures, there’s a number of different assets and strategies that must be implemented to see success with your online marketing. Let’s take a look at the strategies first. Search engine optimization is the process of applying specific strategies in order to rank high in search engines such as Google, Bing and Yahoo. With Google owning the majority of the search engine volume, most people use SEO to focus on ranking high in Google’s search engine to be found by searching prospects. A strategy that allows you to drive targeted traffic to your website, store or landing pages by paying a specific amount per click. Platforms such as Google, Bing/Yahoo and AdRoll offer PPC services to help you grow your business. With over 3 billion users using social media platforms like Facebook, YouTube, Instagram and others, most businesses can find their ideal customers on social media. There’s a number of social media marketing strategies you can take advantage of to find your target audience, both organically and paid tactics. This refers to the process of using content assets to grow awareness, leads and customers for your business. While content marketing can refer to text content, it’s valid if it includes all the types of content you can create online, including video content. This is when you sell someone’s service or product and receive a paid commission for every sale you make. If you want to learn more about making money as an affiliate digital marketer, be sure to check my review for ClickFunnels. This method is a way businesses can communicate with their audience. This digital marketing strategy serves a number of different purposes, often involving the collection of a prospect’s name, email, phone number or address. This allows a business to build a relationship with anyone interested in what they have to offer. Inbound marketing represents the “full” funnel or complete process of attracting, starting the conversation, closing and giving customers an experience they won’t forget. Can Digital Marketing Work For Your Business? The answer is a confident “yes.” Digital marketing can work for any business, it doesn’t matter who you serve, what you sell, B2B, B2C, it can work. Now, that’s not to say all companies should implement the same digital marketing strategies. The way your business uses digital marketing is going to depend on your target audience and goals. For example, with B2B, most of your digital marketing focus will likely be on lead generation. The ideal is to bring in new leads and give them the opportunity to build a relationship with your business. For B2C, your main focus will likely be brand awareness. The big benefit of using digital marketing is the fact that it gives you access to the online market. With over half of the world’s population using the internet, it opens your business to an audience of billions. The other big benefit for using digital marketing is real time results. While it can be difficult to track how much business a newspaper ad or radio spot brings in, nearly all online marketing strategies can be tracked in real time to give you invaluable feedback to strengthen your marketing campaigns. Having the ability to measure your ROI gives you a competitive advantage. Let’s explore some more ways how digital marketing can benefit your business. If your business serves other businesses, lead generation is likely an important marketing strategy. You’ll be able to track the amount of leads your collecting, how many leads turn into clients and how well your lead landing pages convert. You can track a wide range of website traffic data points that will help you further optimize your online marketing. You’ll be able to track how many people visit your website, specific web pages and what percentage of traffic revisits that page. You can track every page you have, which is important because you likely have different purposes for your web pages. You can create content at will, there’s many types of content that a business can leverage. Content refers to any type of digital asset you create. Content can be blogs, landing pages, videos, infographics, podcast or whitepapers. Every piece of content you create is another opportunity for you to get eyes on your content. You can track the performance of all your online content. For example, let’s say you had a lead generation page for users to download a cheatsheet. With the proper tracking, you can identify the total amount of traffic that visited this specific page and how many people took you up on getting the lead magnet. If a 1,000 people visited this page and 500 took the cheatsheet, you now know the landing page converted at 50 percent. On top of that, with the right tracking, you could also retarget the 50 percent that didn’t sign up for the offer. Knowing all of your customer’s touch points are important in understanding the complete journey of your clients. Once you can identify this, you can have pinpoint targeting in your marketing campaigns that give you an advantage in every aspect of your online marketing. All of your customers don’t have the same journey. Your customers have different awareness levels and an effective marketing campaign meets their prospects at the specific level they’re in. If a prospect has never heard of your business, it wouldn’t make sense to sell them a premium product or service. Rather, you’d want to introduce your business to them with a free guide, free video or a free trial. There’s common misconceptions when comparing digital marketing and inbound marketing. Before I get to the differences, let’s talk about how these two are similar. Both inbound marketing and digital marketing primary involve online marketing and utilizing content. That much is true, but how do they differ. What is digital marketing? You learned earlier that this is simple the terminology used to reference online marketing strategies. What is inbound marketing? This is used to describe specific online marketing strategies that have a primary goal of reaching their target audience. On the other hand, outbound marketing refers to the process of getting a marketing message out to anyone. While outbound marketing can have successful results, inbound marketing campaigns work great as the message is dialed in toward their ideal clients. As I’m sure you’ve been able to gather, content is vital to your online marketing campaigns. That begs the question, what type of content should be a part of your digital marketing strategy? The content you choose to create depends on the type of business you have and what goals you need to achieve. I’ll again use B2B and B2C as examples here. If you’re a coach, consultant or service provider, high quality leads should be a very important process in your business. For you, client acquisition and lead funnels would be a priority. 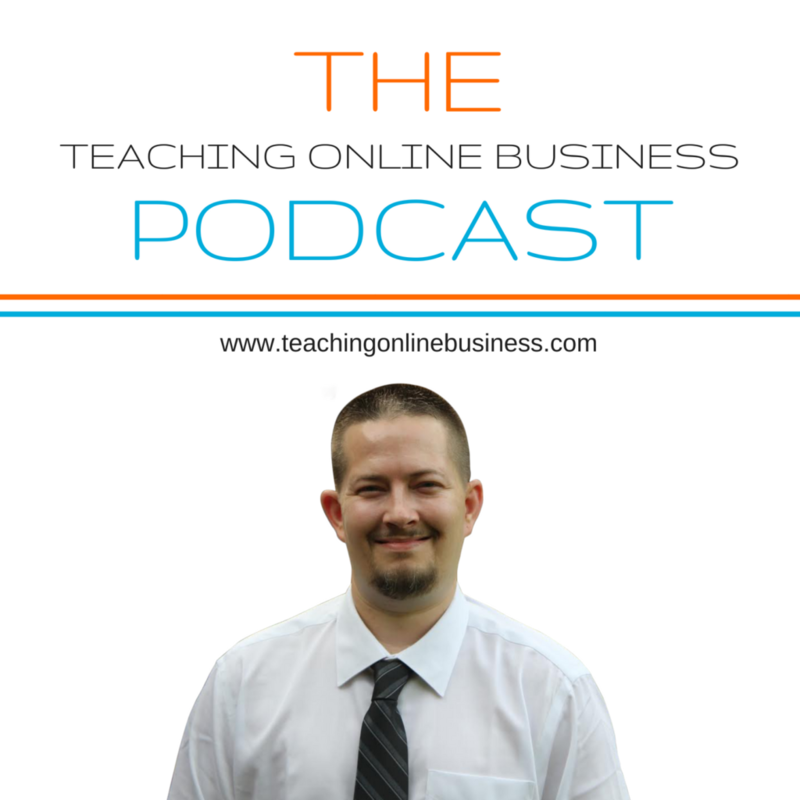 You’ll likely use educational content like we do here at Teaching Online Business. For a B2C, such as an ecommerce store, your focus would likely be on the customer’s journey. You’ll need the ability to track a customer from their first visit until they buy a product. Your content could be focused on making the buyer’s journey easy as possible. This is a very important process as it will determine the type of content you show to clients and customers dependent on the journey they’re on. You can use a Google Spreadsheet or Excel to map your content. Every business needs to know their buyer’s journey. Let me break down each customer stage so you know what type of content you should be sharing with them. At this stage, you would be creating content such as blogs, infographics, podcast and video. This content is used to start the conversation with your audience. For this stage, you would be creating lead magnets, cheatsheets, webinars, research reports, whitepapers and email. Your content in this scenario is used to build authority, credibility, trust and position you as the expert. The last stage consist of reviews, testimonials and case studies. This will be the type of content that will lead your audience to buy. As you’ve learned, digital marketing is a broad industry that has many different arms. Due to this, it can take a little time to learn all these online marketing strategies. Now, if you’re looking for the fastest way to learn digital marketing, I recommend our Digital Marketing Accelerator Program. 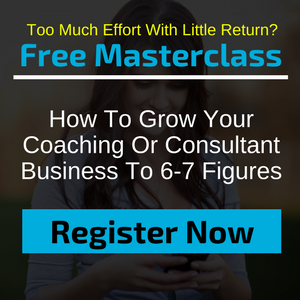 Having a proven mentor to learn from can save you time, money and effort. It took me years to be effective at digital marketing, you can learn how to in the next 90 days. So, what is digital marketing? It’s the process all businesses must implement to reach new clients and customers. You can’t do without it.